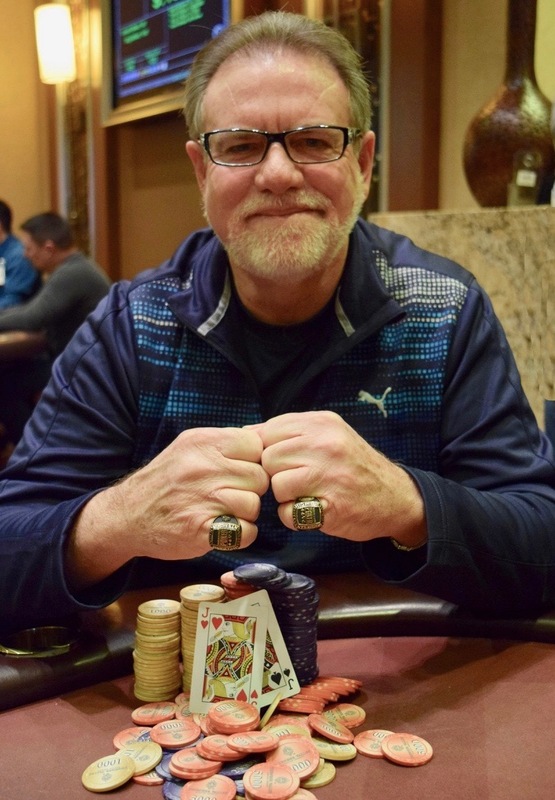 Two events, two wins, two rings ... Ron Brown leads in the race for the @WSOP Circuit @Thunder_Valley Casino Champion title and an entry in to the WSOP Global Championship Million Dollar Freeroll. Points update early each morning at WSOP.com, so the 'official' numbers are not going to show until tomorrow, but with Brown's win in the $580 at noon today, he's taken over the Top of the Leaderboard. We did the math and here's the standings going in to today's 6-Max for everyone in the top 11. The 6-Max, Main Event, 8-Max and High Roller are the final four circuit ring events where players can earn Casino Champion points. Check here to see where you stand on the Casino Champion Leaderboard. Check here to see how many points to get for WSOP Circuit cashes.